Key: This is a two-mile survey, comprised of two one-mile segments, separated by about a mile. Each of the routes has six points in riparian habitat, for a total of twelve points—one point more than if the route were contiguous. The six points in A are in Cienega, while B represents the points along the Bill Spring’s trail. The columns T93 and T02 compare the 1993 results with the current 2002 results, while the last column shows Relative Abundance, which is the average of those two years. General Remarks: Even though this was a serious drought year and the two surveys conducted here to date are ten years apart, it is remarkable how stable bird populations have remained during the last decade. The only significant change is the advent of the Ash-throated Flycatcher and the Black-chinned Hummingbird, but that may be a drought-related effect and therefore not a permanent arrangement. More detailed information concerning the Red-naped Sapsucker can be found elsewhere in this report..
KEN HAS SEEN BLUE GROSBEAK IN THE CIENEGA AREA DURING SUMMER ON TWO OCCASIONS, BUT THESE MAY HAVE REPRESENTED POST-BREEDING WANDERERS, AS A NEST OR EVIDENCE OF FEEDING NESTLINGS WAS NEVER DOCUMENTED. CANYON TOWHEE AND JUNIPER TITMOUSE MAY BE SEEN ALL YEAR ROUND JUST TO THE EAST AND SOUTH OF THE BBS COUNT AREA AT LOWER ELEVATION. HEPATIC TANAGER HAS BEEN SEEN NEARBY DURING THE SUMMER. NOTE THAT IN ADDITION TO THE BREEDING BIRD POPULATION, CIENEGA PICNIC AREA ATTRACTS MANY MIGRANTS, INCLUDING TOWNSEND'S WARBLER AND CASSIN'S VIREO IN THE FALL. Q. Several readers have asked about the best time of day to see the Rosy-Finches. A. We have seen them at all times of day. They have been reliable in the morning around 9 to 10 AM. The Crest House opens at 9:30 AM, providing access to the hanging feeder on the patio (and hot coffee or a late breakfast). No matter what time you arrive, plan to stay at least two hours, especially early in the season when they seem to aggregate into one or two large flocks. The number of tourists increases later in the day, especially on weekends. Human disturbance may cause the birds to stop only briefly or avoid the deck feeder as well as the lower feeder next to the parking lot. The Rosy-Finches will also avoid visiting a feeder when Steller's Jay is present. Q. Where and when may Pine Grosbeaks be found at or near Sandia Crest? A. Pine Grosbeaks are rare and irregular winter visitors to the Sandias; they do breed in the mountains of northern New Mexico. They may show up anywhere from the Ponderosa forest to the Crest. They were seen at the Crest feeding with the Rosy-Finches once, and may appear along the higher reaches of the road to the Crest, especially in January and February when there is good snow cover. They may be encountered foraging in the sand and salt spread on the road after a snow. Be alert for flocks of these beautiful large finches. Their calls can be quite loud, or the members of the flock may "talk" quietly with each other. Q. What about seeing other winter finches? A. Cassin's Finches can be numerous at Sandia Crest and visited our yard feeders at our former home in Cedar Crest (7000 feet elevation). During the winter of 2002-3 our feeder visitors included 10 to 25 Evening Grosbeaks, House Finches, American Goldfinches, Pine Siskins and the usual host of winter residents. Both Evening Grosbeaks and Cassin's Finches failed to show during the winter of 2003-4. Red Crossbills, which sometimes visit our feeder during the summer, were notable by their absence during the winter of 2002-3, not reappearing until mid-summer 2003 when they bred in large numbers in the Sandias. They usually appear erratically during migration and in the winter, often in large numbers. White-winged Crossbills have been seen at the Santa Fe Ski area in past years, but we were not aware of any reports during the winter of 2002-3. Check out the interactive maps at Cornell Lab of Ornithology's e-Bird. Call up reports for each of the winter finch species and see if they begin to migrate down from the mountains in Wyoming and Colorado. Q. Where/when is the best place/time to see the Northern Pygmy-owl? A. The N. Pygmy-owl that we have seen at the base of the Ski Area several times since November 29, 2002 was also seen there by Robert Kyse on December 7, by Pat Newman on December 31, 2002, and by Ryan Beaulieu and Raymond VanBuskirk several times during December, 2003 through February, 2004. It has a favored perch, which is the telephone wire near the far (east) end of the parking lot that is opposite the Ski Area (near mile marker 7). As you ascend the Crest Road, look near the first telephone pole, on the right, about 100 feet past the entrance to the Ski Area, and in nearby trees. It is seen there most often during the winter, but may appear any time of the year. 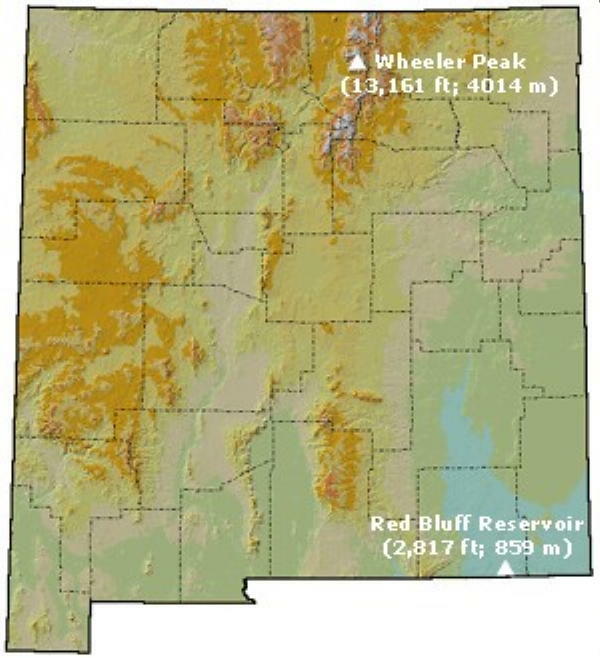 On January 17, 2004, Tyler Bell and Jane Kostenko saw one at dusk on the power lines off the west side of NM-14 about 1/4 mile north of the Cedar Crest Post Office (about the 3.6 mile mark, 200 yards north of the Mountain Christian Church, or about 150 yards south of the Corte de Cañoncito intersection). Do not stop on this highway as there are no shoulders-- look for a side street and go back on foot to get a better look if necessary. On January 5, 2003, Tom Headly saw another from the deck at Crest House. Mobbing chickadees may betray the owl's presence. Late afternoon (during the two hours up until sunset) and just after sunrise have been the most productive times to see this owl. (Since it is a local breeder, it is easiest to find at and just after sunset during May and June, when it is calling. Capulin Spring has been a reliable location during breeding season). To find the Northern Pygmy-owl, just keep looking along the roadside. We have found the owl easier to see when we are descending, maybe because we are looking down on it against the sky. It stands out when perched on a wire or on a bare New Mexico Locust tree. They have been sighted several times in scrub oaks, which retain their leaves well into the winter, concealing the bird. Look for a stocky big-headed thin-tailed bird about the size of a bluebird sitting all by itself, near the top of a 15-20 foot tree or on a wire. It seems to prefer the area between the 4 and 8 mile markers on the Crest Road, but may appear anywhere up to the Crest and even along NM-14. During summer, the Northern Saw-whet and Flammulated owls are usually more common than pygmy-owls, in our experience, so study their calls. Our local Northern Pygmy-owl usually does not whistle a distinct couplet as do those in Arizona, though the cadence may be slightly coupled: either "whee////whee////whee////whee..." or "whee///whee////whee///whee..."
Q. Where do the Rosy-Finches spend the summer? A. Each of the three North American species has a distinct breeding range. The Gray-crowned is most widespread, breeding well up into central Alaska and along the Bering Sea, western Canada, and the mountains of central Idaho, western Montana and northern Utah. The Hepburn's (Coastal) race of the Gray-crowned nests in the most western part of this range, and down into the mountains of Washington and Oregon. The Black Rosy-Finch occurs over a fairly wide range, but occupies the smallest amount of territory, breeding only in scattered small, often roadless, areas of high mountains in northern Utah, northern Nevada, southern Oregon, parts of southwestern Montana and Idaho. The Brown-capped Rosy-Finch breeds in the southern Rocky Mountains, from southern Wyoming to the high mountains of northern New Mexico. Q. Have Rosy-Finches just recently started wintering at Sandia Crest? A. No. The feeding program has undoubtedly encouraged them to visit the Crest House area more frequently (indeed on a daily basis every winter since 1999-00), but they have been recorded erratically at Sandia Crest since the 1950s. See Sandy Williams' article for more information. Q. When is the best time to visit "The Log" at Capulin Spring? A. Any time between May 1 and the first major snowfall. During the wet season (usually early July through late August) the birds have less need to concentrate at this important watering spot. For a full discussion see the article on "The Log." Q. We saw hunters along the road to the Sandia Crest. Is hunting legal? A. In the Sandia Ranger District, there is usually limited deer hunting by bow or muzzle-loading firearms for two weeks in late November through early December, and again for a week in mid-January. The bear hunting season is over before the rosy-finches arrive. In 2004 there may be an Aug. 28 to Sept. 19 Bow hunt for bear and mountain lion, and the Sandia and Manzano Mountains will have an Oct. 15 to Nov. 15 firearm hunt. Hunters may not shoot from roadsides or near buildings, and have not interfered with birding activities. Bow hunters usually hide or stalk in areas away from trails. Just be aware that they are present legally. They may not hunt after sunset. Q. What time does the sun go down? A. The following table gives the time of sunrise and sunset. The sun disappears about 20-30 minutes earlier on the east side of the mountain. Temperature drops very quickly after sunset. Summer owling (for Flammulated, Saw-whet and Northern Pygmy-owl) seems most productive during the 1-2 hours after "official" sunset, while in the winter, the Northern Pygmy-owl has been heard and seen most often in the hour just after sunrise and just before sunset. Average high temperatures at Sandia Crest are 25 degrees (F) colder than in Albuquerque. More importantly, the lows average 13 degrees below those in Albuquerque. Sandia Park is at the base of the road to Sandia Crest, and is a mile lower in elevation, and has 1/2 less snow than at the Crest. Snowfall averages about 10 feet annually at the Crest. Since mountain weather may produce unexpected sudden changes, be prepared, and dress in layers. Dear Friends of the Sandia Crest Rosy Finch Project! We are the new coordinators for the project since Ken and Mary Lou have moved to Florida. We are very new to birding, but thought we could, with your help, manage the logistics of keeping this great project running. Ken will continue to maintain the website, 1-800 number and be the 'Chief Advisor'! We are getting ready to start up the season and wanted to get in touch with those of you who have been part of the project in the past and/or who have expressed an interest in being involved. We are planning to install the feeders and put out the Sightings Log Book at the Crest the weekend of November 6th. At that point, we will begin stocking the feeders about 2 times a week, as needed. As in past years, we plan to store a supply of both types of seed under the Visitor Center Desk at the Crest. We will arrange with our generous donors to get resupplied as needed throughout the season. We are usually at the Crest Visitor Center on Wednesdays as USFS volunteers. But we WILL need volunteers to fill in periodically and to go up routinely on Fridays or Saturdays to check and restock the seed in the feeders. We know that several people have done this in the past and/or have volunteered to help out this season. We would ask anyone who is willing to help to send us an email stating what you might be able to do so we can coordinate the efforts, have some backups and avoid duplication. Please feel free to pass this on to anyone you think would be interested! Thank you for helping us to continue this project that Ken and Mary Lou Schneider and all the previous supporters have done so much work to establish! Ken, we just got home from our trip out West and I wanted to give you a report on our stop at Capulin Spring. I only had one evening free to bird, but I got to the spring a couple of hours before dark and had a great time watching the birds come to the spring to bathe. I had a long list of birds that are common to the area, but are birds we don't get to see very often in Central Texas. I started walking the road between the closed gate and the Snow Play Area shortly before dark until well after dark, but did not see or hear any Northern Pygmy-Owls. I did get to see an interesting bird behavior that is probably pretty common, but is something I've never seen before. I saw a Red-breasted Nuthatch flycatching repeatedly from an exposed perch. I didn't know they did that. After leaving the Snow Play Area, I went back to the spring in the hopes of hearing a Northern Pygmy-Owl there. I again struck out on the Northern Pygmy-Owl, but I got my lifer Northern Saw-whet Owl instead!! Almost immediately after I sat down, I heard two Northern Saw-whet Owls calling. One sounded very close to the picnic table so I started walking toward the area he was calling from. I saw something move in the dark and pointed my flashlight at a Northern Saw-whet Owl about 10 feet from me. He was so close that I couldn't even use my binoculars. I watched him for about 30 seconds and then turned off the flashlight and retreated. He resumed calling as soon as I left the area. I also heard a Flammulated Owl and Common Poorwills calling in the area. I talked to a lady shortly before dark who told me that a Northern Pygmy-Owl was seen daily at the ski area during ski season. We're going out West again in late July, so I may try that area next time. I heard that you're moving to Florida soon, but if you see or hear a Northern Pygmy-Owl in the area before you leave, I would appreciate hearing the details. Thanks again for sharing your information about this fantastic birding area. Birdwatchers from all over the world are flocking to Sandia Crest to observe three species of birds from the north that have been unusually abundant during the past three winters [1999-2000, 2000-2001 and 2001-2002]. When the tame little wanderers, members of a group of perching birds often called winter finches arrived in an unusually large flock of 80 birds in late 1999, we spread some birdseed at the edge of the roadway near the entrance gate to the Crest antenna complex in an effort to keep them coming. It worked, and the 1999-2000 winter was a banner year for naturalists who wanted to add the birds to their life lists. 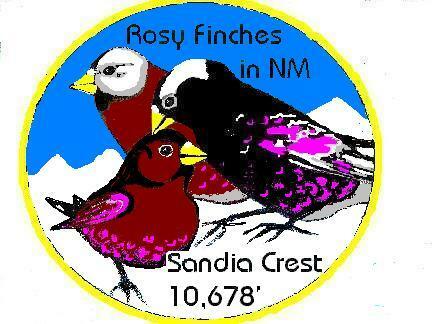 After we moved from Dallas to Cedar Crest in 1993, we heard that Sandia Crest is sometimes visited by rosy-finches. We and other birders would rush to the Crest to see them but were often disappointed. They came and went erratically until 1999. When news that the birds had returned in November 2000 traveled fast over the Internet, birders from as far away as Scotland made special trips just to see them. An unprecedented invasion of these inconspicuous but very handsome little birds occurred the winter of 2001-2002. During a two-week period in February, visitors from Tennessee, Arizona, Oregon, Indiana, Texas, North Carolina and Hawaii traveled by plane and car to see them. A group from Denmark and Scotland was there as the sun came up one crisp morning. They were rewarded with splendid, close-up views of the three species, called black, brown-capped and gray-crowned rosy-finches. Was this just luck or did the feeding cause their abundance? The three species of rosy-finches spend their summers on treeless tundra on mountaintops and in the Arctic. In the winter, all three wander south along mountain tops, to feed on weed seeds as well as on flying insects that are caught by updrafts and deposited, frozen, on snowfields at crests such as Sandia. Two members of the group, known as the brown-capped and the black rosy-finches, share the distinction of being ALL-AMERICAN BIRDS with less than a dozen other bird species whose ranges are limited entirely to the lower forty-eight. Only in Colorado and New Mexico, and only in the dead of winter, can all three species of rosy-finch be seen together. Although the informal feeding by the public may well have contributed to the abundance of rosy-finches, it seemed to get unsightly and even dangerous when someone drained their radiator at the upper lot contaminating a large pile of seed. We approached Beverly DeGruyter, Chief Biologist for the Sandia Ranger District, and appealed for help from other interested birders. As a result, the U.S. Forest Service and the Central New Mexico Audubon Society teamed up to erect a special feeder for the rosy-finches at Sandia Crest. The feeder was donated by Wild Birds Unlimited Northwest, Albuquerque and the seed is being supplied courtesy of prdseed.com of Tijeras. Tom Duncan, resident manager of the Sandia Crest House, has been very helpful. The feeder is removed after the rosy-finches depart, probably in late March, and is put up again in November. Before 1999, the Taos Ski Valley was the popular place to see these three species together. Now Sandia Crest enjoys its reputation as the most accessible location in the world for those who seek rosy-finches. Visiting birders contribute significantly to the local economy. New Mexico has a wondrous collection of specialized habitats that attract a great variety of birds. There are 1,913 species of birds in North America. 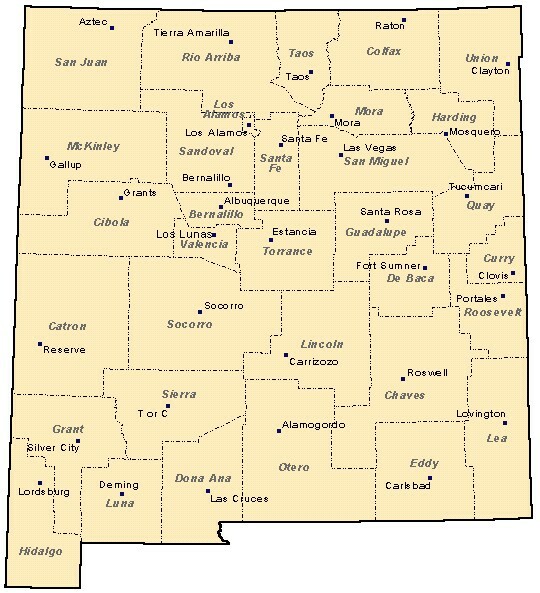 Despite its inland location, New Mexico, with 500 species, ranks fourth among the states and provinces of North America. New Mexico is an inland paradise for the birding bunch crowd and a haven for birds. We feel fortunate to have the rosy-finches here. We hope for their annual return and for the return of human visitors to Sandia Crest. The Crest House has been officially up for sale since 2006, but there is no information yet as to a possible buyer. Let's hope that it keeps its birder-friendly ambiance (with great chili and early access for the banders, not to mention tolerance for scopers and photographers who linger long near the windows as their coffee gets cold) and is not bought by a cookie-cutter fast-food chain. Avi-tourism has meant good business for the Crest House and also for other East Mountain businesses since the feeders were installed in 1999. Over 1300 sighting reports have been recorded in the Crest House logs by birders, and staff there have told me that fewer than one in 10 birders ever sign it. I have seen organized groups of as many as 20 birders leave without ever recording any observations. Even the conservative estimate translates into over 10,000 customers who otherwise may never have ventured up to the top of the mountain. Many of these people would have never heard of the place, much less visited, if it were not for the reputation of Sandia Crest as the “Rosy Finch Capital,” and the Sandia Crest House its “Capitol.” One indicator of the connection between the bird and the building is the fact that a Google search of “rosy finch” + “Sandia Crest House” yielded 921 hits, while Sandia Crest House is associated with “gifts” 248 times and “food” only 217 times. See Ken's Blog for more on the Crest House sale. Look for the Rio Grande Bird Research banding crew on most Sunday mornings during the winter. Remember that birders do not have access to Crest House until it opens, at 9:30 AM. Bad weather can delay opening time or even result in closure, as staff must make their way up before the facility can safely open to the public. For more information about arrival and departure dates, and patterns of abundance since 2000, see full records in the Sightings Logs. See visitors' e-mail and detailed reports from the banders at the CORRESPONDENCE link. While based more heavily upon boreal tree seed crop reports and observations in eastern Canada, Ron Pittaway's Winter Finch Forecast for 2007-2008 provided New Mexico with some hope for increased numbers of Pine Grosbeaks and Red-breasted Nuthatches this winter. On the other hand, it suggested that Pine Siskins might remain rather scarce, and offered a mixed picture for Red Crossbills. The previous winter's poor Red Crossbill and Pine Grosbeak showings seemed to correlate with his previous forecast for the winter of 2006-2007, which was based upon bumper cone crops in the far north. * PINE GROSBEAK: This grosbeak will irrupt south of the breeding range because crops on native mountain-ashes (rowan berries) are generally poor in northeastern Ontario and across the boreal forest [There were no reports of Pine Grosbeaks at Sandia Crest during the winter of 2007-2008]. See Cole Wolf's article about the record-breaking winter of 2006-2007 in the Summer 2007 Burrowing Owl, the Central New Mexico Audubon Society newsletter. He discusses some preliminary findings from the isotope study, suggesting that Gray-crowned Rosy-finches may be coming from above the Arctic Circle. It will be interesting to see differences, if any, between the origins of the interior and coastal (Hepburn's) races. Dave Weaver took the last feeder down on April 2, 2007. On March 26, he reported that the finches were getting pretty scarce. "The folks at the Crest think that they are (essentially) gone, and I tend to agree. I plan to check again next week and if nobody has seen a finch during the intervening week I probably will take the deck feeder down." Aaron Smoot reported seeing one in flight on March 31. And so we closed a very successful rosy-finch season. Dave Weaver and Fran Lusso , US Forest Service Volunteers put it a great deal of work this past winter, assuring that the feeders were maintained and filled, and manually entering all 104 of the sighting log entries into the Winter 2006-7 data base. We thank them for helping make this past winter the one with the largest flock of rosy-finches since the project began in 1999! We are also most grateful to all of you who contributed by donating seed, especially Lee Hopwood of the Wild Bird Center in Albuquerque, who also donated the new feeders. We so appreciate the hospitality of Gene Romero and the entire staff of Sandia Crest House. We especially thank the visitors who, by traveling to this unique site, demonstrate to the Albuquerque and East Mountain community that birding is very important to the local economy. Thankfully, there were also many skiers this winter, but the birders have really made their presence known! After a horribly scant snow season the previous winter that prevented its opening, Sandia Peak ski area closed March 11, 2007 with all trails still open on the last day. For more information about arrival and departure dates, and patterns of abundance since 2000, see full records in the Sightings Logs. See visitors' e-mail and detailed reports from the banders at the CORRESPONDENCE link. There are still many birding opportunites in and around Albuquerque. Central NM Audubon maintains an active field trip schedule. Also see the Thursday Birder trip schedule. There are also regular weekend morning bird walks at Rio Grande Nature Center State Park in Albuquerque. Dave and Fran put up the feeders on October 30, and rosy-finches appeared almost immediately, with confirmed sightings since November 2. As in previous years, Blacks predominated early, but all three species have been identified. This winter there was an unprecedented increase in the number of Gray-crowned Rosy-Finches at the feeders, while Brown-capped were unusually scarce. There were a couple of log entries that gave high counts of Brown-capped, but they did not fit the pattern of other observations and banding results. (First year Black and Gray-crowned can be hard to differentiate from Brown-capped. See this link for IDENTIFICATION TIPS). The final banding session was on Sunday, March 18, but no birds were captured. Review the banding summary (below) and also full reports in the Correspondence links. This winter (2006-2007), Clark's Nutcrackers, Red Crossbills (up to 65) and Pine Siskins were intermittently present, as well as the American Three-toed Woodpecker, and there were only a few Cassin's Finches, and no Pine Grosbeaks. A highlight has been the persistence of American Three-toed Woodpeckers in the Kiwanis Meadows area. This species was thought to have disappeared from the Sandia Mountains. 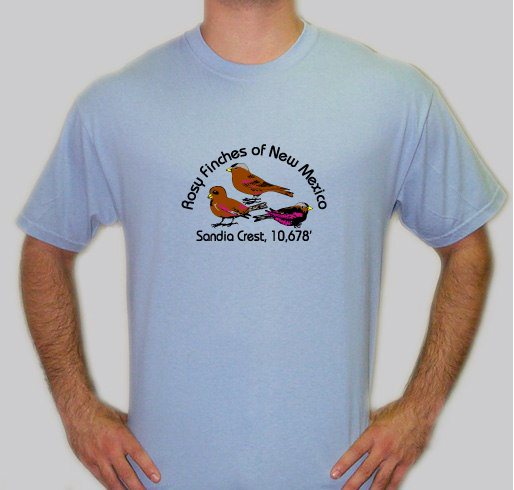 On January 7, 2007 the Rio Grande Bird Research team banded 104 rosy-finches, the most they ever banded in one day. The next Sunday, January 14, they surpassed this record by banding 127. On these two days alone, they newly banded 82 Gray-crowned Rosy-Finches, of which 47 were of the Hepburn's race! As Nancy and Steve Cox put it, "Last year we were happy with the 5 Hepburn's banded." Their success continued with 189 captures on January 21, of which 116 were recaptures. They additionally saw about 200 unbanded birds at the feeders. On January 28 they captured 80 more, newly banding 57. Cole Wolf obtained some dramatic images of a large flock of rosy-finches mobbing a Red-tailed Hawk. Steve Fettig took some beautiful photos of all four morphologically distinct adult rosy-finch forms.These may be seen on the photo page.The February 4th and 11th session yielded 45 and 93 new captures respectively. Raymond got out on February 25th and newly banded about 50 rosies, including 2 Brown-capped with the rest about evenly divided between Gray-crowned (including some Hepburn's) and Black. This winter (through March 11, 2007), 773 rosy-finches (579 Blacks, 186 Gray-crowned [including 104 Hepburns], and 8 Brown-capped) were newly banded, and 22 were recaptured from previous seasons. One Black Rosy-Finch was recaptured for three winters in a row. Click here for totals by species since 2004. The researchers exceeded their goal of banding 1000 rosy-finches as part of the isotope study project. Since January 2004, 1197 rosy-finches have been newly banded. Tiny feather samples are taken for isotope studies that permit UNM researchers to determine the location of the birds' breeding grounds. Preliminary results indicate that the Gray-crowned species migrates a great distance. It will be interesting to learn the origins of the Coastal/Hepburns birds that have invaded this winter. More information about isotope studies is available here. Small flocks of all three species were last reported on April 13th, and only one Black Rosy-Finch was present on April 19, when Dave Weaver took down the feeders. The next day, another was seen by Tom Duncan. On May 23, US Forest Service-sponsored Tuesday morning bird walks resumed in the Sandias, and Central NM Audubon continued an active field trip schedule. The final banding session was on April 2. The banders captured 30 rosy-finches, but all were same-season repeats, and only two unbanded birds were seen. On March 24, only 2 Black Rosy-Finches were reported, the first day this winter that all three species were not seen, but 68 of all three species were captured the next day! About 20 were at the feeders on April 6. On April 11, Dave Weaver went up to the Crest to fill the feeders and found 10 rosy-finches still visiting. He reported, "A cool day with a nice dusting of rime ice on the decks and railings. There are still some rosy finches in evidence, although Gene and the other folks think that the main groups are gone." During the 2005-2006 winter season the Rio Grande Bird Research crew set a new record. They newly banded a total of 298 rosy-finches: 44 Brown-capped, 221 Black, and 33 Gray-crowned, including 5 Hepburn's race. They were not able to capture a 6th unbanded Hepburn's that was sighted. In addition, there were 255 recaptures, including 7 Brown-capped and one Black first banded in December, 2004, and a Black that was originally banded on March 20, 2005. Since the winter of 1999-2000, the last Rosy-Finch flocks of the year at Sandia Crest have been reported anywhere between March 5 to April 15th, with stragglers as late as March 17 to April 18th, so this year we had a record late departure date. Generally, numbers of Rosies visiting the Crest House feeders begin decreasing after the first week in March. Last year (2004-5), all three species persisted in mixed flocks of 30 or so through the second week in April. For more information about arrival and departure dates, and patterns of abundance since 2000, see full records in the Sightings Logs. We flew in from Florida to visit Sandia Crest on February 14. There was practically no snow on the ground, the driest we have ever seen Sandia Crest in mid-February. As we have observed previously, the birds tend to visit more frequently and in smaller flocks later in the winter. During the four hours we spent at Crest House, there was hardly ever a time when rosy-finches were not present at one feeder or another. Coincidentally, on February 12 there were articles about the NM Rosies in both the Albuquerque Journal and the South Bend (Indiana) Tribune. We had just returned from a visit to Costa Rica and Panama that included some birding-- check out our report. The feeders were put up on October 26th. The first birds, all Black Rosy-Finches, appeared at the feeders on the morning of November 12. See visitors' e-mail and detailed reports from the banders at the CORRESPONDENCE link. An AMERICAN THREE-TOED WOODPECKER has been seen intermittently on the trail to the Kiwanis Meadows on Sandia Crest (use the search feature of this Web page, or the Birders Guide to Crest Road to find these and other nearby birding locations). There have been no recent reports of Cassin's Finch, Red Crossbill at the Crest (except for one male crossbill, seen at the feeders on January 31), Clark's Nutcracker or Pine Grosbeak. Pinyon Jays and Evening Grosbeaks have been very scarce or absent at lower elevations. Please tell us about these and any other species you may see. Please record your sightings in the log at Crest House Visitors Center (which now contains over 150 entries), and report them to Matt Baumann for the NM RBA as well as to us. On November 27, 2005, the first day of banding, Nancy Cox of Rio Grande Bird Research reported that 70 rosy-finches (plus one same-day repeat) were banded by 2:15 PM, their best single day of banding up at the Crest House. Laurel Ladwig has posted a slide show that captures some of the excitement of that record-breaking day of banding, along with some nice snow scenes. On Sunday, December 11, the team newly banded 59 rosy-finches, plus 6 same-season recaptures. At this point, the capture/recapture formula produced a population size estimate of 660 birds with a standard error of plus or minus 220. The winter of 2004-2005 produced records for the earliest arrivals, the latest flock sightings, and the latest departure of the flocks. The rosy-finches arrived on Sunday, November 7th, 2004, the earliest date they have been seen at Sandia Crest since 1954, when the birds were first recorded there. This winter the East Mountains have recorded the most moisture since the 19th century, and the ski area ended its season in late March with all 31 trails open with an 8 foot base. Approximately 180 inches of snow fell at the Crest House. Gene Romero reported on March 30th that the entrance to the Crest House looked like a tunnel. As of March 20th the flock size was down and the birds were singing, so their departure appeared imminent. On March 23, 60-70 Rosy-Finches of all three species were recorded in the log, and a Pine Grosbeak was seen at Mile Marker 4. The snow surface was above the roof of the rest rooms, and more was expected! On Easter Sunday, March 27, 2005 several observers, including the banding team, watched from 9 AM until 3 PM and failed to see any rosy-finches. This was the first day since November when the birds did not put in an appearance. They did show up the next day, and about 30 were seen again each day through March 30. On the afternoon of March 31, Linda and Ralph Browning reported 80 to 90 rosy-finches of all three species, but over a week went by without any reported sightings, until they reappeared on April 10th, to finally depart on April 18th. EAST MOUNTAIN TELEGRAPH ARTICLE ABOUT BIRDERS AT SANDIA CREST (March 3, 2005) "All three species of rosy-finches— black, brown-capped and gray-crowned— can be seen regularly from the heated comfort of the Sandia Crest House restaurant. The mountain birds normally are so tough to find that birders from 12 states have made the trek up to the Crest to see them in the past month..."
Roof damage from the heavy snowfall in mid-February caused the Crest House to close on Monday, February 21. Despite repair work, they were able to open up for business the next day. Reports from visitors are below. All three species were present, including Hepburn's race of the Gray-crowned, along with several reports of Pine Grosbeak flocks of up to ten individuals, many Pine Siskins, Red-breasted Nuthatches, Mountain Chickadees, Gray-headed, Oregon and Pink-sided Juncos. Cassin's Finch have been reported occasionally since early January, but there have been few reports of Clark's Nutcrackers and Red Crossbills. On February 9, 2005 Loren Hansen of Iowa took photos of the Northern Pygmy-owl at the Ski Basin parking lot, and on March 6 a group from Michigan saw it again at mile post 3. The New Mexico RBA reported sighting of 11 PINE GROSBEAKS beside the road above the 10K Trailhead on March 18 . Of great interest has been the flock of BOHEMIAN WAXWINGS that has been visiting the Santa Fe area during the middle of March. Latest sightings have been near the Randall Davey Audubon Center at the end of Canyon Road in Santa Fe. On March, 31 were reported, and about 20 were present on March 19. So far there have been no reports from the Sandia Mountains. The researchers have banded 96 rosy-finches so far this winter, and estimate a total of 100-150 are using the feeders this winter. Try to note how many of the birds you see have bands and enter this number into the sightings log at the Crest House Visitors Center. The banders will have an accurate count as it is difficult to see the bands in the field, but this statistic gives a rough idea of the total number of birds present (i.e., if no new birds are joining the flocks and the birds distribute themselves evenly between the several flocks that are up there now, and an average of 50% have bands, there are 96x2 or 192 birds visiting the feeders). Of course, the flocks may segregate themselves, causing some flocks to have a much higher or lower percentage of banded members, and we truly do not know that we are seeing the same individuals all winter. Color banding, planned for the future, would shed light on this aspect ot their behavior. There is so much yet to be learned! Banding continues into March, 2005. Check with Ryan Beaulieu for schedule and details. Be sure to check the weather and links to live videos of conditions, as well as highway information. On January 28, 2005 Diane Touret saw six PINE GROSBEAK at the 10K Trailhead parking lot. FLASH from the NM RBA (June 9, 2005): TWO AMERICAN THREE-TOED WOODPECKERS were photographed on June 4 on Sandia Crest east of Albuquerque on the trail that leads to the Kiwanis Meadows from the lower parking lot. They were 100 yards down from the gate at the south end of the lot near several downed trees on the left hand side of the trail. A drumming male was seen on June 5, and on July 7 a female was located to the right side of the same trail, at the edge of Kiwanis Meadows. "Several" were seen later in July, suggesting successful breeding. All three Rosy-Finch species were present every day during the winter of 2004-2005. They appeared earlier than ever, on November 7, 2004. This winter marked the greatest measured precipitation since records began in the late 1800's. The ski area enjoyed an incredibly succesful season, with all trails open for most of the winter and into early spring. During the winter of 2002-2003 there was not a single day when we failed to see (usually all 3 species of) rosy-finches. Cassin's Finches, Pine Siskins and Red-breasted Nuthatches were abundant at the Crest, and Evening Grosbeaks abounded on the eastern slope, but they were missing during the winter of 2003-2004. Brown-capped Rosy-Finches were essentially absent the entire winter of 2003-2004. Identifying rosy-finches as to species is not always easy. Some can be picked out as definite Gray-crowned (Interior) Rosy-Finches, and others are definitely Blacks. Many others have enough black coloration to be presumed as Black (female and first year birds), but some are quite intermediate, lacking warm cinnamon coloration on the contour feathers that looked dull brown, but not black. We have been cautious about identifying these as (Interior) Gray-crowned Rosy-Finches. How have you been? I just wanted to say that we banded 9 Rosy Finches this weekend [February 29, 2004] with almost half of them being interior gray-crowneds. Be careful because the gray-crowneds look a lot like the blacks and we had to carefully do different measurements and look at different feather groups to decide on gray-crowned or black. Also, we think we have figured out what the “possible brown-capped” that everyone has been reporting is. We banded an interior gray-crown that looks very similar to a brown-capped! But, it is indeed a gray-crowned. I just thought I would let you know of this. Good Birding! We have found in past years that the early flocks tend to visit less frequently, probably because the scant snow cover affords plenty of foraging opportunities all along the spine of the Sandias. The wind also may make the birds stay close to the ground. In 2002 all three species arrived on November 19th and were present daily through the winter into late March. We set out the Rosy-Finch feeders on October 19th, 2003, in hopes of attracting them earlier than the prior year, and the first rosy-finches (three Blacks) were sighted on November 15th. Fellow USFS Volunteers David and Karen Halvorson, and Dan Benton help tend the feeders. Melissa Howard of CNMAS as well as Corine Howard, Chris Michel and Nancy Baczek offered to fill in for us as necessary. Thank you all!! Until the winter of 2004 Mary Lou and Ken usually filled the feeders every Tuesday morning and also provided interpretation for the public. Visitors are encouraged to donate seed (hulled sunflower seed only for the deck feeder, and black oil only for the two hoppers), and if able, to fill the feeders if they find them empty. A small supply is maintained at the Visitors Center under the desk, just inside the door to the Crest House. Using the more expensive hulled seed exclusively for the deck feeder not only cuts down on litter, but also means less work for the birds as they can gobble up quite a few calories during a very brief visit! When you see rosy-finches (or other birds of note), be sure to enter them in the log at the USFS Visitors Center at the desk near the entrance of the Sandia Crest House Gift Shop, and report them by e-mail to Matt Baumann who compiles the New Mexico RBA, or to the AZ/NM RBA, and to Cornell Labs eBird.org. To listen to a tape of recent sightings call the NM RBA Hotline at 505-884-3269. If there are question or problems, please notify Fran and or Dave. Also, when you patronize local merchants, wear your binoculars and let them know you are birders, here to see the "Rosies." You will contribute to the increasing recognition of the importance of avi-tourism to the East Mountains economy. Gene Romero (pictured to the left), Resident Manager of the Crest House, was concerned about numerous Red Crossbill window strikes. The windows of the gift shop and restaurant are now adorned with hawk silhouettes and chickadee appliqués, donated to Central NM Audubon and put up by Ryan Beaulieu and Raymond VanBuskirk. Central New Mexico Audubon recognized Gene and his staff for his support of the Rosy-Finch project. Ryan obtained US Forest Service approval of a plan to conduct rosy-finch banding at the Crest beginning in the winter of 2003-2004, in cooperation with Rio Grande Bird Research, Inc. Banding commenced on January 4, 2004, when a single first winter Black Rosy-Finch was banded. See article on Sandia Crest Rosy-Finches and the banding proposal in JAN-FEB 2004 Central NM Audubon Society Newsletter. Cassin's Finches were not reported at the Crest during the winter of 2003-2004 despite their abundance the prior three winters. In early November, when we drove up to fill the feeders we saw a Williamson's Sapsucker at about the 7 mile mark near the base of the ski lift (We took this picture of a brightly colored male Williamson's Sapsucker in our yard. A pair visited our yard pond occasionally all winter). Red Crossbills may usually be seen along the higher reaches of the road to the Crest, especially at the 10K Trailhead. Red-breasted Nuthatches can be scarce at the Crest but may be found around 10K. The roads to Cienega Canyon, Capulin Spring and Nine Mile Picnic Area are closed and barricaded for the winter. The Sandia Crest Rosy-Finch feeder project is a private undertaking that came about through the efforts of the Central New Mexico Audubon Society and with the cooperation of the US Forest Service, Sandia Ranger District. The feeders and seed were donated by local merchants, and many visitors have also contributed seed. Its success is entirely dependent upon the good will of the Crest House, a private business that leases the land on which the feeders are located, and more importantly, operates the business that provides a comfortable viewing area for visiting birders. Please support this business by making purchases and also observe courtesies to staff and customers as outlined in the Rosy-Finch Web Page. During the winter of 2001-2002 we installed two new Rosy-finch feeders at Sandia Crest, for a total of THREE. Lynda Geron of Wild Birds Unlimited Northwest, Albuquerque, donated one new hopper feeder and two tray feeders with necessary hardware to mount them. In 2005 the Wild Bird Center Westside in Albuquerque donated a new hanging feeder for the deck, and over 100 lbs of "patio mix" hull-less seed, in addition to the steady donations of seed from prdseed.com. The first feeder (large hopper and tray) is just west of the south end of the lower parking lot, in view of the east facing picture windows in the Gift Shop. A second feeder (medium hopper and tray) was mounted above (to the west of) the first, on the chain link fence that runs along the very crest. It is in plain view of the south facing picture windows. One feeder is on each side of the trail that runs to the south from the gift shop entrance, permitting photos under all light conditions. Both of these feeders are stocked with black oil sunflower seed ONLY. And (ta-dah!!) we now have a tray feeder on the new deck that occupies the SW corner of the Crest House complex. It is extended off the NW corner of the deck so that the wind is less likely to blow seed unto the deck surface. This feeder will use ONLY hull-less sunflower seed (already donated by Paula Diepolder of prdseed.com of Tijeras). If the finches use this one, it will provide great views not only from the deck itself, but from the dining area inside. Pay binoculars have been installed on the south end of the deck to permit views of the lower feeder. The Gift shop will start selling compact roof prism binoculars for those who forget to bring a pair. Now let's hope that the Rosy-finches continue their pattern of visiting daily all winter! Please do not disseminate seed in other areas. If you wish to donate seed (the above two types of seed ONLY), please put it directly into the feeders or give it to Gene Romero, Resident Manager of the Crest House, for safekeeping. If you have not been up there to see it, the expanded Crest House is spectacular. Stop by for coffee and a snack, and enjoy the new fireplace in the dining area. Wednesday, April 16, 2003. This morning, Mary Lou and I arrived to find about an inch of fresh snow and ice had coated everything along the upper reaches of the road to Sandia Crest. On our way up, we had checked out the newly opened road to "The Log at Capulin Spring," and were pleased to see that the spring is feeding water into the log as before. There were no avian visitors and the snow revealed no mammal tracks, not surprising , because the abundant snowmelt provided an alternative water source. In a few weeks the Virginia's and Grace's Warblers and Band-tailed Pigeons will arrive, the Green-tailed Towhees will be singing on territory; soon thereafter the tanagers, orioles and vireos will really brighten up the place. On the way out we found that Cienega Picnic Area had also opened, and a short walk along the Nature Trail produced a nice male Red-naped Sapsucker who drew our attention with his characteristic halting staccato drumming. At the Crest, it was a bit odd not to see the wheeling flocks of Rosy-finches that had been present on our prior visit just last week. I must admit I felt a bit sad as we took down the feeders. The Steller's Jays, Mountain Chickadees, Gray-headed (D-e) Juncos were not too happy as they scolded us from nearby bushes. The US Forest Service is concerned that extending the feeding into the warmer months may attract prey species and their predators, notably Black Bears and Mountain Lions. Under our state law, even a casual public complaint requires that an "offending" bear or lion be trapped and relocated-- often a death sentence as the animal may not be able to compete in a strange territory. There will still be attractions for birders from the bottom to the top of the Scenic Byway to Sandia Crest. Tom Duncan, resident manager of the Crest House, does plan to put out a bird bath and a hummingbird feeder (the latter must be taken in at night). Beginning in mid-May and continuing into early October, the Forest Service will schedule bird walks on Wednesday mornings that will alternate between Sandia Crest, Capulin Spring, and Cienega, affording us the opportunity to explore the bird life of three distinct mountain habitats: subalpine fir-spruce at the top, mixed conifer at Capulin Spring, and piñon- juniper- Ponderosa and a riparian area at Cienega. Details are posted at the "Birding the Sandias" Web page. Despite a complete lack of crossbills, and relatively low numbers of Pine Siskins and Clark's Nutcrackers, we had a one of our best years for Evening Grosbeaks at our yard feeders (at 7000 feet). They arrived October 17, 2002 with numbers building from about 12 through early December to 40+ by late February. We still have 30+ today. Cassin's Finches were quite numerous at Sandia Crest on multiple occasions from late November to this week-- about 30 to 40 have been seen on almost every one of our 2-3x weekly treks to fill the Rosy-finch feeders. On December 31, we saw the Northern Pygmy-owl on the telephone wire at the lower parking area for the Sandia Peak Ski Area. Others saw it there during December and January, and also (on January 5, 2003) from the observation deck at the Crest House. An odd sighting for the Sandias was a pair of Cinnamon Teal on the (newly lined and sterile) Sandia Park pond, on March 11, 2003. Of course the Rosy-finches provided the most remarkable sightings. Joyce Silagy counted 50 early arrivals on November 19, 2002, but they may have been seen by a group of unknown birders as early as November 13. Our highest count at one time was 70+ on December 13, 2002. On most days there were between 40 and 50 total at any one time. There was not a single day during the winter after November 19 when they were not reported (and, on our 2 to 3x weekly treks, we always met at least one other birder-- until March 31!). We saw the last flock, on April 8, and the last lonely Gray-crowned Rosy-finch was recorded on April 14, 2003 by Don Peterson, an experienced birder from Virginia. This was the "latest ever" date since we started the feeding program in 1999. We put up a Rosy-finch sightings log at the Crest House, and had 199 "valid" entries between December 9, 2002 and April 14, 2003. People from NM and 29 other states as well as the UK and Canada reported their sightings. My analysis is not yet complete, but there were 35 Albuquerque visitors, 31 from other NM locations, 15 from Texas, 13 from Arizona, 7 California, 6 Pennsylvania and 5 Minnesota. Visitors from 24 other states accounted for between 1 and 3 separate entries each. My observation is that a large majority of visiting birders, especially members of birding groups large and small, as well as locals did not sign the log. Staff at the Crest House believed that birders had visited virtually every morning the entire winter, and thought that "only one out of ten" signed the book. If only half true, the number of visiting birders still numbered over a thousand! The tourism impact of the Rosy-finches has been significant for the East Mountains. Looking at total numbers, Gordon Ewing reported 100 Rosy-finches on March 10, 2003. On January 29, 2003, John Eriksson of Houston reported "over 150" but he said they were in two separate flocks (one that had Blacks predominating and the other heavy with Brown-capped). On February 15, 2003 Dave DeReamus (an experienced birder from Easton, Pennsylvania) told me he saw "over 100" individuals, but his written report did not give numbers by species. As to individual species, the largest number of Gray-crowned we personally saw was in the big flock on December 13, when we estimated 25. However, at other times we usually saw between 2 and 6 well differentiated Gray-crowned adults. Interior race predominated. Other credible observers reported up to 6 Hepburn's/Coastal subspecies-- we never saw more than three at any one time. Most days there were 1 or 2 Coastals reported. No Coastals at all were reported after March 13 until March 25, when we saw one. The total for Gray-crowneds seemed to decrease later in the season, with no more than 2 on each count after March 12, except for that one Interior race on March 25. Brown-capped species usually predominated (about 60%) versus about 40-45% Black Rosy-finches over the course of the winter. The only other trend was a decrease in the number of buffy "indeterminate" Rosy-finches by late February. Most may have been first winter Brown-capped as they lacked indication of a gray crown. Yet on closer scrutiny many had slightly visible crowns, and some seemed to have dark bases to their feathers with buffy tips. This was the first winter in its history that Sandia Ski Area failed to open for lack of snow. The winter average is 10 to 12 feet. For most of the winter at Sandia Crest, rocky outcroppings and windswept meadows have been denuded of snow. In late February and again in mid March, the pattern improved, with 100% snow cover at depths up to two feet. Later in the winter good numbers of Rosy-finches continued to appear daily, but people who arrived in the afternoon saw them visit less frequently and sometimes in lower numbers. Flocks were also smaller on foggy days. Presumably on clear days there are greater natural foraging opportunities all along the ridge of the Sandias, resulting in less frequent trips to the feeders. In early January, a local weekly newspaper (The Independent) carried a story about the Rosy-finches and their impact on East Sandia Mountain tourism, especially significant since the Sandia Ski Area is doing so poorly. Since January 17 we have noticed that generally the birds' colors seem to be brightening up. Many of the first winter birds are losing their scaly dull appearance as feather tips may be wearing off. Many early winter flocks include good numbers of "indeterminate" cool brown birds that look like Sibley's illustration of the first year female Brown-capped. I call them "Buffies," and feel that since the M:F ratio of Rosy-finches has been determined to be skewed as high as 6:1 in favor of males, it is unlikely that they are all female Brown-capped. Indeed, on close inspection in good light, some show blackish bases to their contour feathers, and others show a faint gray crown under the buffy feather tips, suggesting they are Black and/or Gray-crowned first winter birds. See further discussion of Rosy-finch Winter Plumage Changes. On January 28, John Eriksson and Ken attached a dead branch to the support for the hanging feeder to provide a more stable and natural looking perch for "photo opportunities." We also stabilized the tray with a length of cable, as it is easily displaced by the wind and can really swing in the breeze and spoil some nice pictures. Since December 9, 2002, nearly 200 visitors took the time to fill out the Rosy-finch log. Only one birder, who apparently arrived at 5:30 PM on January 12, 2003, failed to see any Rosy-finches, and two visitors logged only 2 apiece, after 3:00 PM. Most report ed flocks in the 20-60 range. Commonly, over half the birds have been identified as Brown-capped, about 30-40% as Black, and less than 10% as Gray-crowned. Of great interest is Sandy Williams' article (below) about historical presence of Rosy-finches at Sandia Crest and breeding status of Brown-capped R-f in northern New Mexico. Following it is Hart Schwarz's enlightening essay. The road to the Crest was almost always entirely clear, but light snow or heavy hoar frost are a possibility even when not in the forecast. As usual, caution can be required in some spots, especially shady curves and areas of drifting snow. On the way back down, use 2nd gear to avoid burning out your brakes. If you plan to arrive after a snowfall, call the Sandia Ranger District (281-3304- weekdays 8:00-4:30) and ask about road conditions. Also, as you ascend and descend, pull over to let the more frantic workers, skiers, sliders and tourists get by. They don't know what they are missing! The clipboard for recording Rosy-finch sightings was located inside the entrance to the patio on the west side of the Crest House. Birders left their names and recorded sightings and species mix. This provided us with a more objective record of observations. Gene Romers, resident manager of the Crest House, also put out a couple of field guides and a copy of this Web page. We prepared a one page feeder ID guide for novice observers. On February 4, 2002, a bird feeder was established at Sandia Crest, in the Sandia Mountains east of Albuquerque, New Mexico, at 10,678 feet elevation. The feeder’s purpose was to attract three species of rosy-finch (Gray-crowned, Black, and Brown-capped Rosy-finches). The feeder, supplied by Wild Birds Unlimited on Coors, Albuquerque, with seed donated by “prdseed” of Tijeras, NM, was a cooperative project of the Central New Mexico Audubon Society, the US Forest Service, and the managers of the Crest House concession. All three Rosy-finch species quickly began using the new feeder. During the 65 days that the feeder operated (February 4 through April 9, 2002), about 100 pounds of black oil sunflower seed were consumed or dispersed by the birds, a daily average of about 1.5 pounds. The new feeder replaced informal feeding of various seed mixtures that had been spread on the parking lots during the winters of 1999-2000, 2000-2001 and the early part of 2001-2002 by visiting birders. The informal feeding was associated with a great increase in the frequency of visits by all three Rosy-finch species. It also caused concern by some members of the birding community about contamination (especially by spilled radiator fluid and sand mixed with snow melting chemicals), wasteful littering of the parking lot surface, and possible adverse effects upon native vegetation. Further, artificial feeding does carry risks of crowding birds into small areas and enhancing the spread of avian diseases. To partially allay these concerns, the feeder was located on disturbed ground away from public facilities. Seed was limited to one type— black oil sunflower, to decrease the number of alien plant species that might be introduced. Any seed product may include a certain low percentage of "weed" seed, and this presents another unknown factor. Even before the growing season had commenced, there was some degradation visible in the immediate vicinity of the feeder. Perhaps the seed hulls or the concentration of bird droppings and/or the gleaning activity of the birds inhibited native plant growth. Would some of the sunflower seed germinate? If so, is it possible that some would reach maturity and produce new seed? Would there be a measurable change in the number and mix of plant species that may be related to proximity of the feeders and other factors such as wind direction? After the feeders were removed, we suggested to the Forest Service that a volunteer botanist or a student might wish to conduct an objective study of the effects of feeding on the vegetation in the immediate vicinity of the feeder. We offered to work with anyone who may have the expertise and interest to reach an evidence-based conclusion about the possible effects of feeding birds in this rather fragile ecosystem. No one expressed interest, so we launched our own informal study. At approximately two to three-week intervals, from May 16 until September 18, 2002, we made nine visits to the site where the feeder had been located, and inspected the vegetation that grew within 25 to 30 feet on all sides. We observed the amount of ground cover, and the location of bare or poorly vegetated areas. Although we lack training in plant identification, we looked for differences between the species of vegetation at various distances from the feeder. We especially looked for signs that sunflowers had germinated or gone on to flower. Ideally, we would have designated sample study areas at various distances and directions from the feeder site, and kept precise data on the number and species of plants in each spot. This was beyond our capability, but we hope that an enterprising student may wish to repeat this study in the future. Our findings may be summed up rather simply. To our eyes, no sunflower seeds ever germinated near the feeders during the summer of 2002. (Recall that spring was unusually dry, and that even native sunflowers seemed to do poorly at lower elevations in the Sandias.) Indeed, there was no qualitative difference between the various grasses and flowers, whether nearby or 30 feet from the feeder location. We did find patches of bare ground at the very base and up to 15 to 20 feet from the feeder site. The denuded area was larger on the north side of the feeder site, widening like an irregular piece of pie to about 6 or 7 feet wide, where it joined a shrubby area. Bald patches extended about 8-10 feet in a narrow area to the south, and were absent on the east and west sides of the feeder. They showed obvious signs of recent and past use by pocket gophers: fresh crescent shaped mounds, and cylinders of soil that had filled burrows in the snow before it melted. Since the predominate wind direction during the winter is from the south, wind-scattered seed was more dispersed to the north. This was borne out by observation, as the snow, especially to the north, was often covered with seed hulls. The gophers were active all winter under the snow, as evidenced by the remains of their soil-filled burrows suspended in the snow as it melted. They undoubtedly fed upon the excess seeds and continued to forage for them after the snow was gone. Black oil sunflower shells are sometimes used as an "organic" method of weed control: in sidewalk cracks, under larger plants -- one of my customers mulches his roses with it. Identification by species can sometimes be difficult, especially early in the winter. Keep in mind that Rosy-finch males outnumber females by about 6 to 1. Very likely, immature birds outnumber adults by 2 or 3 to one. If immatures happen to wander south to a greater degree than adults, then they may be even more heavily represented among the birds we see in New Mexico. We think (but we cannot find documentation in the limited literature that we posess) that the young birds have buffy feather tips that wear off as the winter progresses, causing identification problems, particularly between immature birds (especially Gray-crowned but also Black) and Brown-capped adults. Alternatively, the immature birds may undergo a molt during late winter. By late February there seem to be fewer of these "indeterminate" birds. Try to pick out the adult male birds and distinguish between them. The adult male Black Rosy-finch is easy-- its light gray crown contrasts sharply with the body, which is quite black, and the wings, lower belly and back show lots of pink. Then look for adult male Gray-crowned, which are a distinct "warm" or rusty/cinnamon (even orange-ish) brown with a distinct gray crown. Note that there are small blackish areas just above and just under the bill (the chin, throat and the forehead). These will contrast with the light gray crown on the top of the head. The pink areas are less pronounced on the Gray-crowned. Now find the many "cool" (tan-ish) brown birds. Some have pretty noticeable gray crowns, and may be female or immature Gray-crowned. Some have quite dark or black feathers underlying the buffy tips, and are probably immature Black Rosy-finches. Other "cool" brown birds will lack a gray crown or will have only a slight suggestion of one. With these birds, focus on the chin and forehead. If there is not a contrasting black forehead, and the top of the head is dark brown that blends softly towards the back of the head, you are likely seeing a Brown-capped Rosy-finch, especially if the pink or rosy breast is quite noticeable. Notice, too, that in all three species the bills get quite bright yellow in early winter, then begin to turn dark as spring approaches-- just the opposite of the European Starling's bill, which darkens in the winter. Eric Lichtwardt, writing about the Black Rosy-finch in Birding (October 2000, page 408) mentions the need for "more work on the movements and structure of winter flocks." If someone were to conduct a banding operation at Sandia Crest it might clear up this mystery. Do hatch year birds have buffy feather tips, and does this explain the larger number of "indeterminate" cool brown Rosy-finches that seem to diminish in number as the winter progresses? Since the Sandia Crest flock appears to stay in place all winter, recaptures may be possible to document or refute this impression. Following our dissemination of the above, we learned it is likely that a Rosy-finch banding operation will be carried out next winter (2003-4). It may include color banding, which would permit field study of individual birds, to determine their behavior (flocking habits, site fidelity, territorial interactions) and longevity, as well as plumage changes over the course of the winter. Study of color-banded birds may also provide insights about the impact of artificial feeding-- we believe that the birds spend most of their time foraging widely despite the ready availability of seed at the feeders. Might this pattern change over time? Two high school students, Ryan Beaulieu and Raymond VanBuskirk, are working on a project designed to document the flocking behavior and species mix of Rosy-finches. They carefully document the time of arrival and departure of each flock, recording the size and species mix over a two hour period. Ryan and Raymond's records are detailed and accurate. Ken was impressed with their integrity in classifying as to species only those birds with clear plumage characteristics. They plan to repeat their observations every two weeks until the Rosy-finches depart. The work these young men are doing could be ground-breaking in clarifying the seasonal and age-related plumage in these species as a prelude to banding studies. Ken has observed that as the winter progresses, the relative number of clearly identifiable Gray-crowned and Brown-capped individuals seems to increase, in tandem with a decrease in the proportion of "Buffies." Next year, the addition of color banding will greatly enhance their study. OUT OF STOCK AT CREST HOUSE! Generous fit. 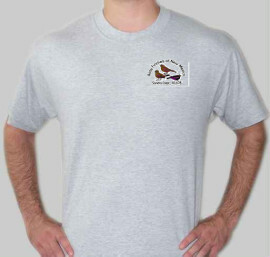 high quality, heavyweight t-shirts, Gildan Ultra Cotton Ts, 100% cotton; 6.1 oz., with a Screen-printed design. They are pre-shrunk, have a taped neck and shoulders, and double needle stitching throughout the garment. Light Blue or Athletic Gray, in sizes M, L and X, with large or small logo. (Designed and marketed by Ken Schneider. Wholesale profits from sale of shirts, pins and patches are contributed to the CNMAS Ryan Beaulieu Memorial Scholarship Fund. Support NM Department of Game and Fish Non-Game Share with WIldlife Program. Visit their Web page for lists of Threatened and Endangered Species, and lists of projects. PATCHES ARE FULLY EMBROIDERED, 3 INCH, 7 COLORS-- Pins are round, 1 inch solid brass, black nickel metal coated and filled with 5 colors, covered by clear epoxy dome. Ideal for the serious "lister" to wear on vest or hat. Designed by Ken Schneider. Wholesale profits from sale of shirts, pins and patches are contributed to the CNMAS Ryan Beaulieu Memorial Scholarship Fund.